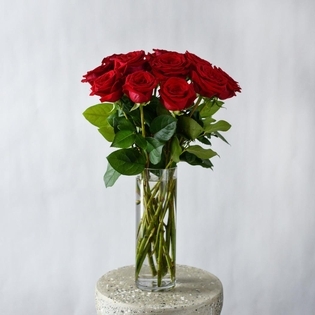 Can $105.00 *Excludes local tax and delivery if applicable. Imagine a breath taking sunset but with petals…. 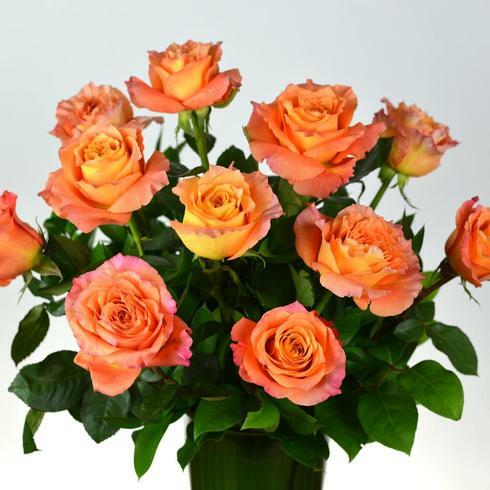 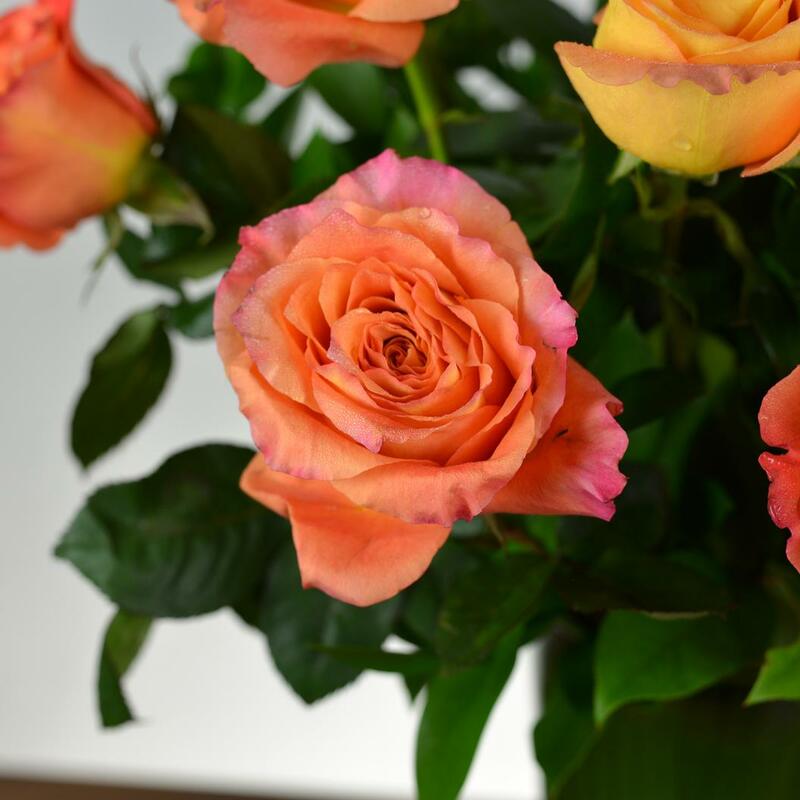 This tri-color garden rose is a spectacular mix of coral, orange and pink. 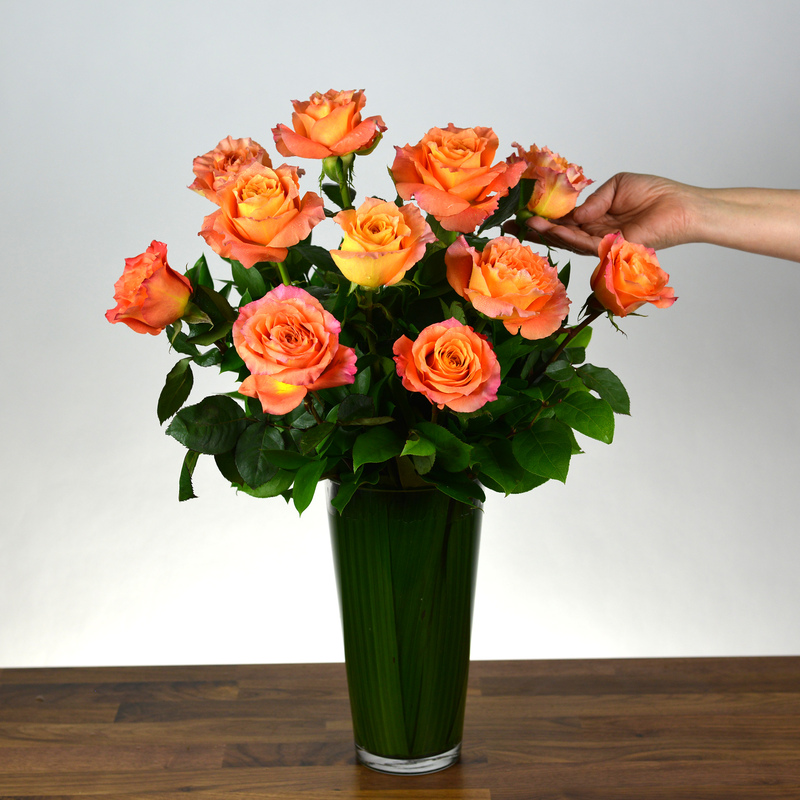 It’s ruffled petals and stunning shape adds to its gorgeous overall look.